February 16, 2018 by Beeraj Patel, Esq. 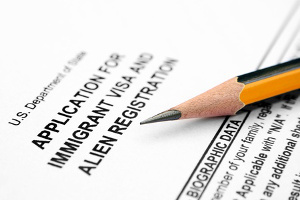 The H1B visa is a temporary visa that is granted to non-immigrants with specialty occupation. People who are awarded this particular visa are employed in positions that require highly specialized skills and knowledge. Non-immigrants who work in industries like architecture, accountancy, medicine, engineering, journalism, law, research, and many others can benefit from the H1B visa. Application for H1B must be sponsored by a valid company where the non-immigrant will be working prior to the application. Unfortunately, not everyone’s application is approved. In fact, the United States Citizenship and Immigration Services (USCIS) often requires a Request for Evidence (RFE) from the applicant as additional proof necessary such as documents so that they can make a decision regarding your application. The pieces of evidence submitted raise questions and therefore cannot establish eligibility. This simply means that there are documents or information that are missing thus the adjudication officer sent out the notice so that eligibility can be established for the petition. There are several reasons why the USCIS require H1B RFE from pending applicants. It is crucial to understand what these reasons are so that you know which documents and evidences you need to prepare. Lacking employer Information: The USCIS utilizes a tool called Validation Instruments for Business Enterprises (VIBE). This tool allows the USCIS to know about the status of the petitioning employer. If the tool reveals that there are some discrepancies in the employer information such as a change in structures, wage reports, Federal Tax ID number, financial statements, then the USCIS officer will most likely require an RFE to clarify the employer information. Determination of specialty occupation: Remember that the H1B visa is granted to those who qualify for the specialty occupation. The minimum requirement is a bachelor’s degree for the position that you are applying for. But to prove that you are qualified for the specialty occupation, you may need to submit documents like work experiences, job description and so on. Petitions filed by employers not typically associated to the field of the specialty occupation: The thing is that the employer should file a petition to a non-immigrant worker who works in the same field as with the nature of the employer’s business. But if let’s say, an employer from a construction business petitions a doctor, then the USCIS may not see the eligibility of the petition thus an RFE notice is sent so that the employer can defend that the beneficiary is performing a role in the specialty occupation. This means that the employer should provide a proof explaining how the degree relates to the position albeit different field of study. Not having a bachelor’s degree in the US: One of the requirements for the H1B visa is to have at least a bachelor’s degree. But there are times when the petitioner does not hold a bachelor’s degree in the US, they are required to submit proof of a foreign degree equivalent. 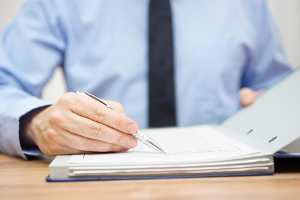 Official school documents are necessary to provide the proof needed. Questionable employer-employee relationship: There should be a good employer-employee relationship to get an approval on the H1B visa application. However, if the worker is anticipated to work mostly offsite, then an RFE is in place in order to establish that the employer has control of the worker. Moreover, the employer needs to provide documents that the specialty occupation can be performed off-site. An organizational chart may also be required for further proof. Request for change of status or extension: If the H1B application is filed for a change of status or extension, documentation is needed to provide in order to show that the worker has maintained their current status. When you get an RFE notice, don’t panic. The first thing that you need to do is to read the notice and find out the nature of the RFE. What kinds of evidence and documents are needed by the adjudicating officer? Once you read the notice, don’t make any rash decisions just yet. If you panic, there is a tendency that you might respond to the notice in parts. It is crucial that you respond and answer the questions fully and completely as it proves your intent to provide the right pieces of evidence. Make sure that you check all the documents that are required by the officer before you send everything to the officer assigned to your case. Be sure that you prepare all the needed documents and you do not wait until the last minute as you might run the risk of missing the deadline. Remember that you need to respond to the notice between 30 and 90 days upon receiving the letter or on whatever date was indicated in the letter. Remember that not all RFE cases are the same. While some cases are simple, others are very complex. Nevertheless, try to avoid doing everything by yourself. 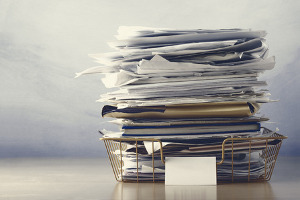 The problem with dealing with the RFEs by yourself is that you might not be able to process all of the documents that are required. This is the reason why it is important that you seek help from an experienced immigration lawyer. A reliable immigration lawyer will help you address all of the issues stipulated in your H1B RFE notice so that you can submit all the necessary documents needed. That way, you will be one step closer to having your H1B visa approved. If you need help from an immigration attorney, make sure that you visit Pride Immigration to help ease the complexities involved in your H1B visa application.